The most important organs for detoxification and the elimination of substances are the kidney and liver, and they further help in the filtration of waste. The regulation of sodium and the mineral are being carried out by the kidney as excess salt is being presented in the body as a result. The liver is your largest internal organ; it is like the body’s personal filtering system that has regenerative properties, aids in digestion, produces bile to break down fats and absorb nutrients and rids the body of toxic substances and also keeps the blood healthy. For cleansing of the liver and kidney, it would be recommended to go on a balanced diet and reducing fatty foods. Alcohol, tobacco and some drugs should be avoided. A good recommendation of organic food should be issued to stop contaminants. Though it is quite unfortunate the liver is not treated with care which is bad. We eat whatever comes our way without considering its resultant effect on the liver and kidney. Well, here are lists of foods we need to take to ensure your liver isn’t being overworked. 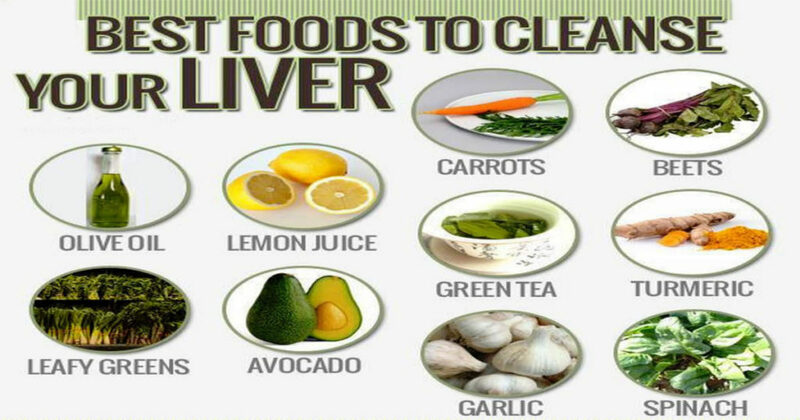 Below are some foods which protect, cleanses, and repairs your liver and kidneys. • Grapefruit: over time it has been observed that to keep the liver healthy is as a result of vitamin C in the right proportion. A cup of grapefruit is sufficient enough for daily requirement of Vitamin C needed for cleansing and repairing the liver. Be mindful of the fact that the grapefruit can also affect drug metabolism. So beware If you’re on medications, seek your doctor‘s advice. • Turmeric: Chinese and Ayurvedic medicine has for centuries now used Turmeric for the treatment of liver problems, research from 2001, University of Maryland. Fats can be prevented due to the presence of curcuminoids from the spices. • Garlic: Based on studies, garlic serves as a good supplement for the liver diseases. Garlic has been known for ages for its natural cleansing ability to the human body. The latest research showed garlic helps to repair a damaged liver. • Beets: Evidence from research still in progress has it that beets can protect the liver by reducing excess fatty acids around it thereby making the environment conducive for the liver to function accurately. • Cabbage it has been discovered that Cabbage provides certain nutrients to the liver and is very important to the health. • Fruit juices: certain fruit juice like blueberry and cranberry improves the functionality of the kidney and helps in the nutrient supplement. Kidney defects like the kidney stone can be prevented if there is enough water content in the body. Most of the times it really doesn’t rely on the type of juice you drink, the most important thing is staying hydrated. • Millet and Barley: Your body needs whole grains high in fiber. Though the grains combine with used material and circulate in the body. Particular ones like millet and barely have a good proportion index of glycemic, and they help in the conversion of sugar. 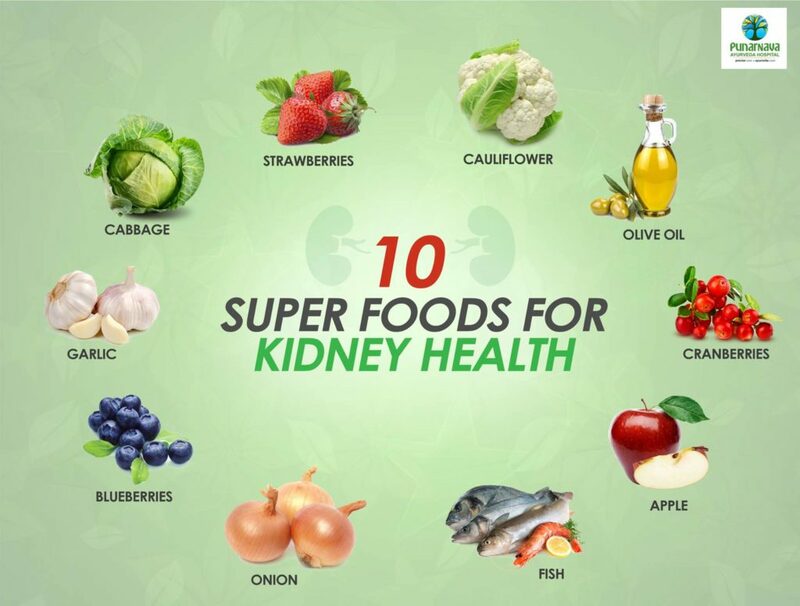 The burden of the load in the kidney is being stable as a result of this substance and it further helps detoxification. It very important to eat healthy so you stay healthy by keeping your liver and kidney clean. • Tea: Ginger, Nettle, Dandelion, Burdock, Sorrel tea flushes out toxins from the body and also helps to detoxify the liver and kidneys. • Vegetables: vegetables such as spinach contain a lot of vitamins which aids the organs in the body from harm. The Spinach serves as a cleanser and aids detoxification. Remember, some of these foods need to be taken with your doctor’s consent and approval. Eat healthily, stay healthy, live healthy.